CNC stone carving machine is suitable for natural marble, granite, bluestone, sandstone, artifical stone, tombstone, milestone, ceramic tile, jade, crystal, ceramics, glass, plastic, wood, bamboo, cambered surface, sphere, stainless steel, iron, copper, aluminium, titanium alloy, can doing 3D embossment, and line engraving, bevelling, drilling 2D engraving. Stone CNC router can carve characters, letters, pattern, intaglio, rilievi, handwriting, ancient calligraphy, abrazine colored drawing, flat carving colored drawing, etc on stone, glass, depth can control optionally, to reach the artistic effect. 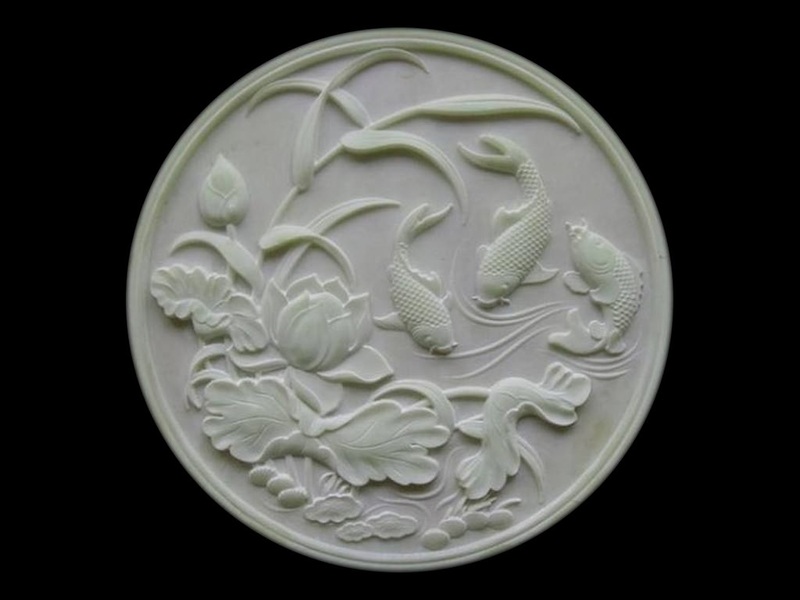 License: The text of "Flat CNC Stone Carving Projects by Stone CNC Router" by STYLECNC is licensed under a Creative Commons Attribution 4.0 International License.